Experience feeding reindeer and enjoy a traditional Sami dinner. 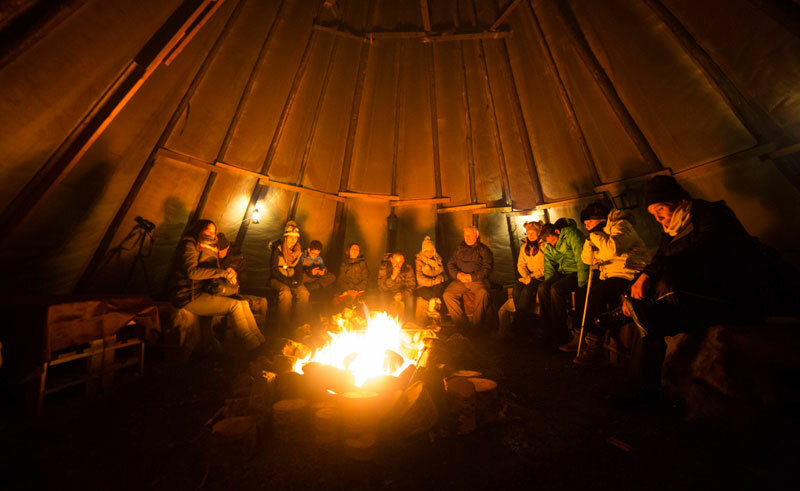 You will have an opportunity to feed the reindeers in the night time, enjoy a traditional 3-course Sami dinner while listening to the Sami reindeer herders talk about their culture and beliefs. Keep an eye on the sky to see if the Northern Lights are out and lighting up the sky for you. Please note that sightings of the northern lights can never be guaranteed.